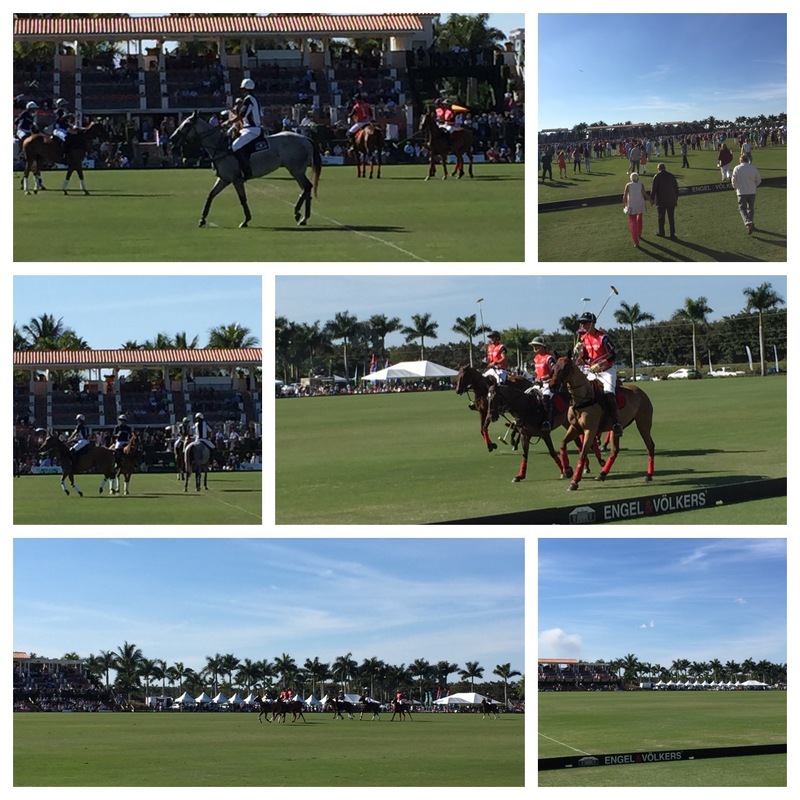 I visited the International Polo Club Palm Beach in Wellington this Sunday to partake in the Brunch festivities. Lucky for me, 2/15 was one of the Lilly Pulitzer brunch dates (you can still catch them on March 15 and March 22!) so the Pavilion was decorated with splashes of hot pink and green and the ladies were head to toe in Lilly threads. We were seated at a table outside right off the picket fence to the field. The view to watch the game was fantastic! Part of the fun was learning the rules of polo and having live action during our meal. Brunch was served buffet-style with multiple stations by Aaron’s Catering. One station had a lunch lineup with a serious Salad Bar, Carving Station and selection of sides. Personally, I hit the breakfast station with Bagels and Salmon, Eggs Benedict, an Omelette Station, Belgian Waffles, Bacon, Home Fries, you name it. There was also a beautiful dessert station with Raspberry Mousse, Soft Serve and Gelato with an array of candy toppings and other delicious goodies. Each table had a server for drink service and there were also a few bars throughout the Pavilion – including a Belvedere ice bar! At halftime the tables cleared and people flooded the field for champagne and divot stomping to prep the field for the second half. After the match there is an after party in the Pavilion with music, dancing and a lounge type setup. I think this is a great day for couples, friends and/or families. The atmosphere is fun and energetic, the food is great and there is plenty of entertainment. You can see Brunch options HERE. If brunch isn’t your thing, they also have Polo ticket options HERE. If you are visiting the Pavilion, I would definitely recommend the $10 Valet. Arrive a little before 2pm to park and get settled. Brunch begins at 2pm. 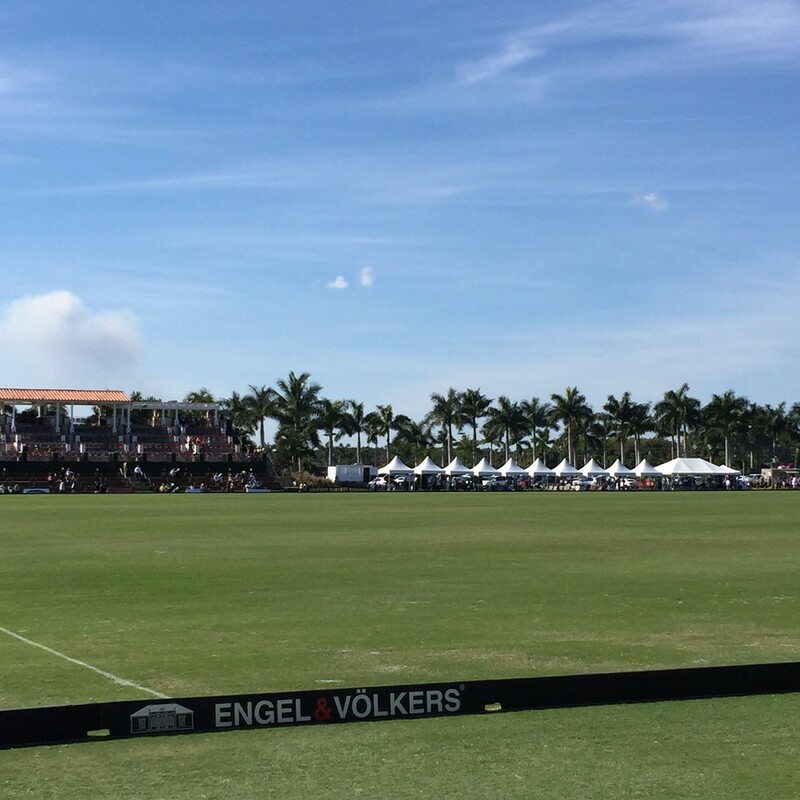 Polo begins at 3pm. Don’t miss out on the red carpet for fun photos at the entry. There are different lines depending on your ticket type, so check out the signage before hopping into a line. The Pavilion and Tailgating are in a separate area from other tickets, so plan accordingly if your group has different ticket types (ex: GA). Indoor Seating does not have outdoor access for polo watching. Don’t forget to tip your server. Gratuity is not included in the ticket price. Dress accordingly. Ladies: Wear sandals, flats or wedges.